We cannot tell a lie...we've never heard about dogs losing their eyesight from Glaucoma...until today. But we did know about cataracts in aging dogs-in fact, my predecessor, Carson, was nearly blind from what we were told were cataracts when he died at 16. So we hope you'll find this detailed article about doggy Glaucoma from our friend at the Dog Channel (Dog Fancy's digital presence) as informative as we did. And we certainly did not know that Glaucoma is the leading cause of dog blindness. But this article details the definition of Glaucoma that most of you humans are familiar with: increased pressure in the eye from a build-up of fluids, the warning signs in canines, and the possible treatment options. Because this disease "feels like a headache that won't go away", your four-legged companions can't just tell you this, so look for signs like glassiness to the eye, redness in the white part of the eye, excessive tearing, and sensitivity to light, among others listed in this article, and ask your veterinarian about a Glaucoma check. Although Glaucoma can be treated, eye removal is the only way to guarantee a lack of pain. 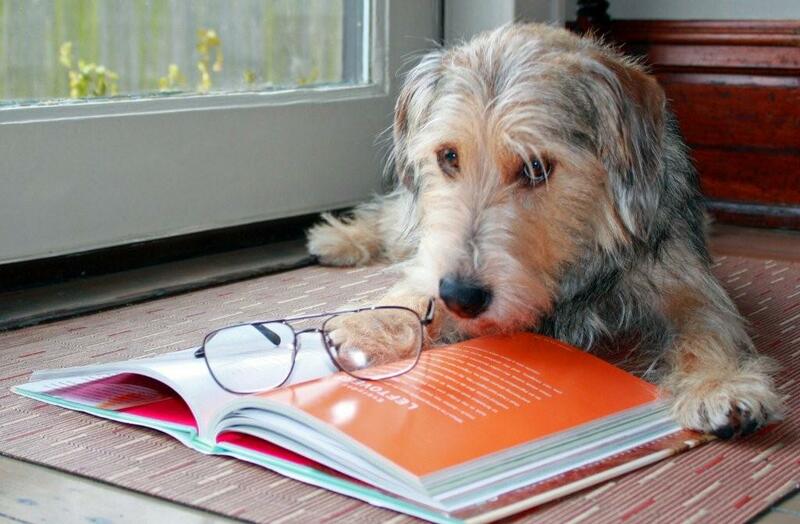 But it's certainly better to know what's causing your pooch's eyesight problems and possibly treat the symptoms rather than to remain oblivious, as we like to say. After all that...we hope you enjoy a Happy Easter Sunday! This gorgeous pooch sure looks ready for Easter! What a cute picture! 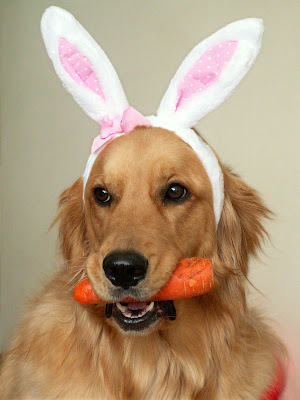 A carrot is the perfect treat for today!